For a long time Russia’s position as a key global energy player has enhanced Moscow’s international economic and political influence whilst causing concern amongst other states fearful of becoming too dependent on Russia as an energy supplier. The Global Financial Crisis shook this established image of Russia as an indispensable energy superpower, immune to negative external influences and revealed the full extent of Russia’s dependence on oil and gas for economic and political influence. This led to calls from within the country for a new approach where energy resources were no longer regarded wholly as an asset, but also a potential curse resulting in an over reliance on one sector thwarting modernization of the economy and the country as a whole. In this fascinating and timely volume leading Russian and Western scholars examine various aspects of Russian energy policy and the opportunities and constraints that influence the choices made by the country’s energy decision makers. 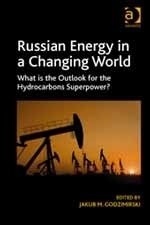 Contributors focus on Russia’s energy relations with the rest of the world alongside internal debates about the need for diversification and modernisation in a changing economy, country and world system where overdependence on energy commodities has become a key concern for customer and supplier alike.